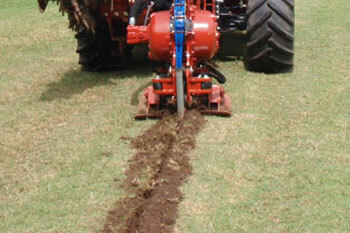 If your project requires pipe or cable to be installed underground in a quick and cost effective manner, then the vibratory ploughing method is the answer. 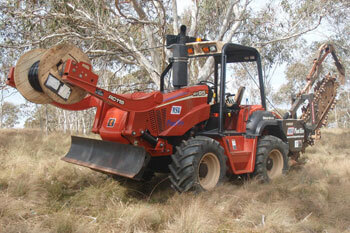 Vibratory ploughs are ideal for installing pipe and cable underground in rural/open areas. 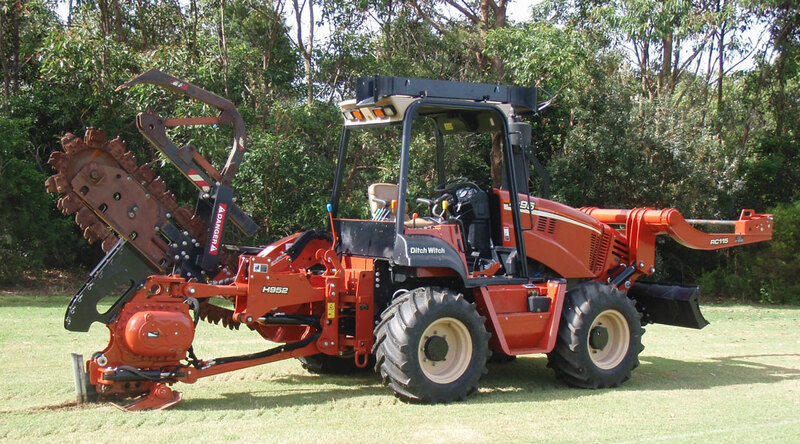 MSW Plant Hire has various cable and pull blades available or we can customise an installation blade to meet your requirements. 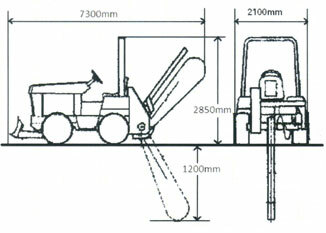 No trench is required; this machine will place the cable/pipe underground in one pass with minimal disturbance to the ground. It is perfect for laying cable/pipe underneath sporting areas such as golf courses and racecourses as only an entrance and exit hole is required. 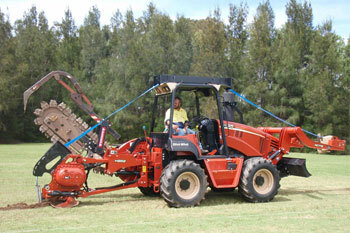 As no trench is required, there is no subsiding of the soil and no excess material.